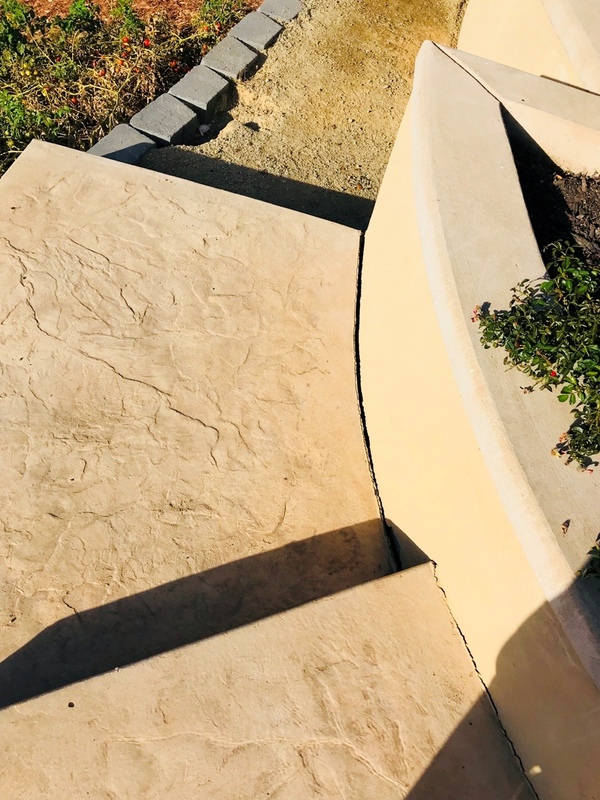 The issues of concern presented by the Owner involve the occasional overfilling of the Lower Basin that results in weeping and or seeping of water out onto the (e) decomposed granite (DG) pathway. As a result of this the DG shows signs of erosion scars and settling in several areas adjacent to the Lower Basin Trough (See photo below). 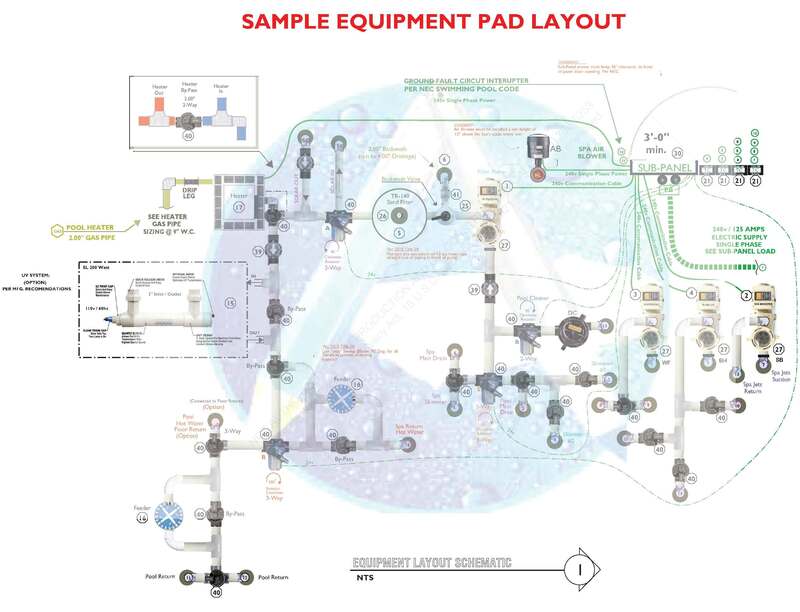 The Lower Basin / Trough design has incorporated a “Surge Tank” that allows the water spilling over the V-Edge to be collected in the Trough and then directed through a gravity flow piping network into the Surge Tank reservoir. The Surge Tank’s holding capacity was told to be approx. 500 USG and is outfitted with a Autofill Device. More of the specifics such as the manufacturer of the Autofill Device, Tank and pipe sizing were not known at the time the observations were made (See Surge Tank photo below). Due to the V-Edge acting as a skimmer and allowing the floating debris on the pool surface to be deposited into the Lower Basin, the Lower Basin is prone to filling up with debris. The resulting debris (when not maintained) then collects around the Drain Covers and greatly reduces the amount of water that would otherwise be flowing into the Surge Tank (See Trough photo below). 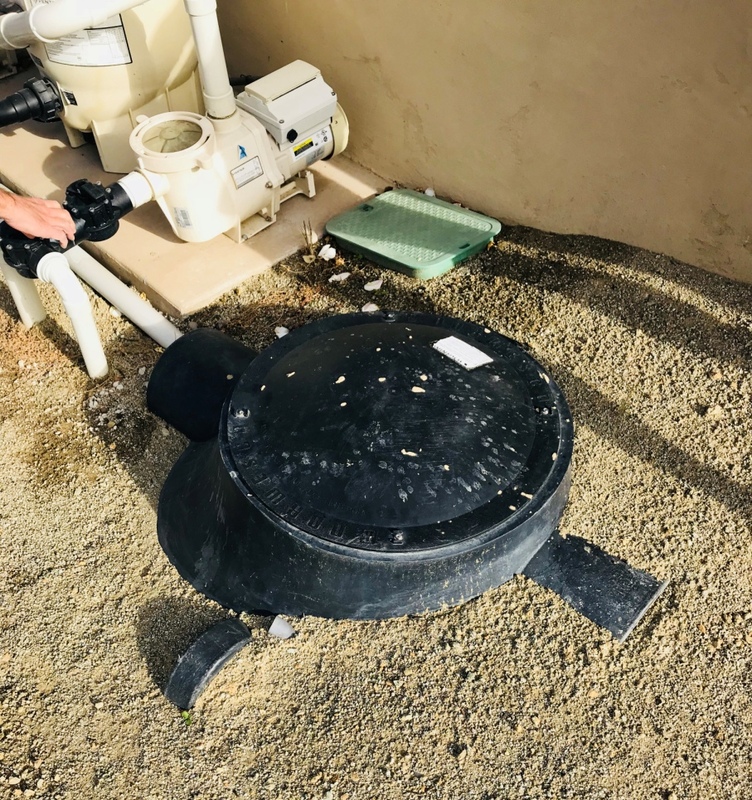 As a result of the debris obscuring the Lower Basin’s Drain Covers there is a time delay in filling the Surge Tank back up to it’s optimum level, and the Autofill device becomes operational and attempts to refill the tank to capacity. This results in overfilling the Surge Tank and when the excess water has no place to go then the Lower Basin can back up and overfill causing seepage and or spillage to run onto the DG paving area (See Autofill photo below). 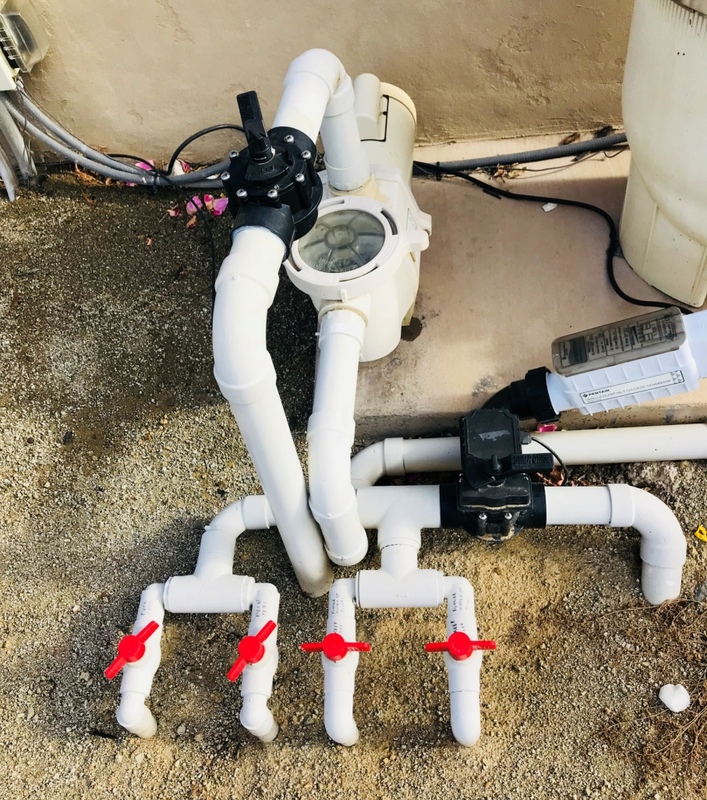 In order to insure that the Trough won’t overfill when the Drain Covers become obscured with debris and seep out, our suggestion is to install 3.00″ overflow lines at each end of the Trough. These would be located at the top of the tile line as in the example of the photo below). Additionally, this would also allow the water when the Trough happens to become overfilled to be recovered into the Surge Tank reservoir rather than losing that water volume and causing the Autofill float to activate. 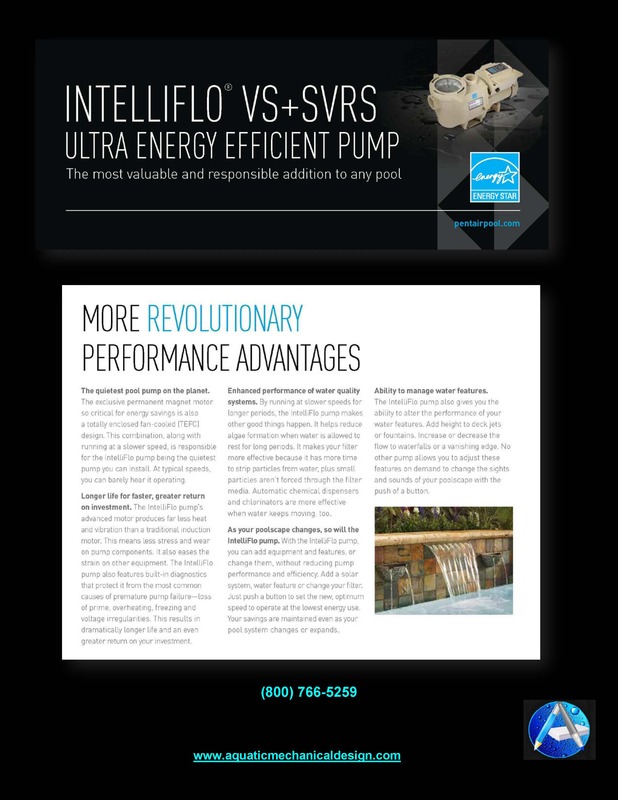 The V-Edge Pump is a single speed , 2.00-Hp Pump that operates separately and independently from the Variable Speed Filtration Pump. 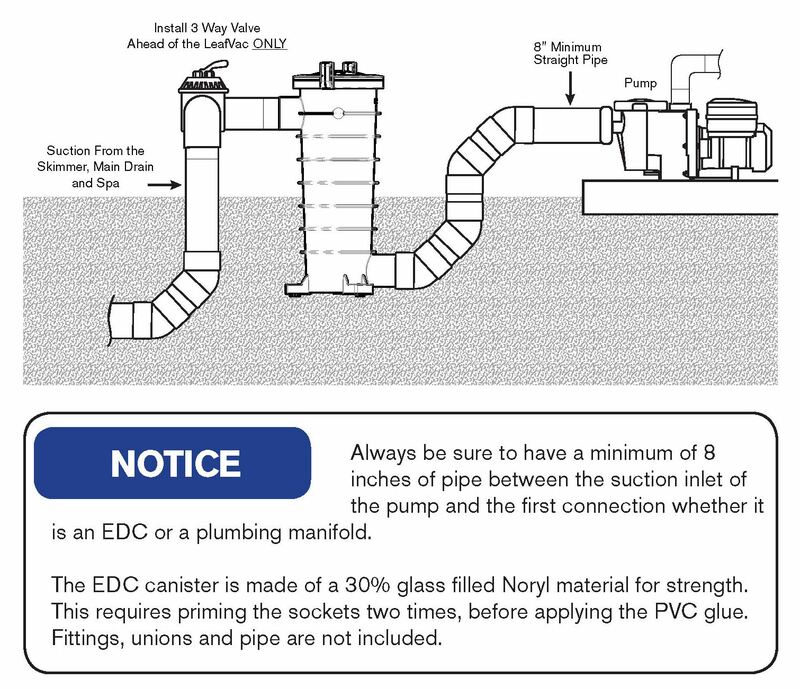 The V-Edge plumbing has been outfitted with both manual (orange handles) and automated isolation valves, although the 3-Way valve (black body) that is outfitted with a automated valve actuator is non-operational due to it not being connected to an intelligent control system (See V-Edge Valves photo below). Additionally, two of the orange handle valves provide isolation control for the Deck Jets and the other two we were told fed a water source to the Fire Bowls, although they are not currently connected to an end use location. 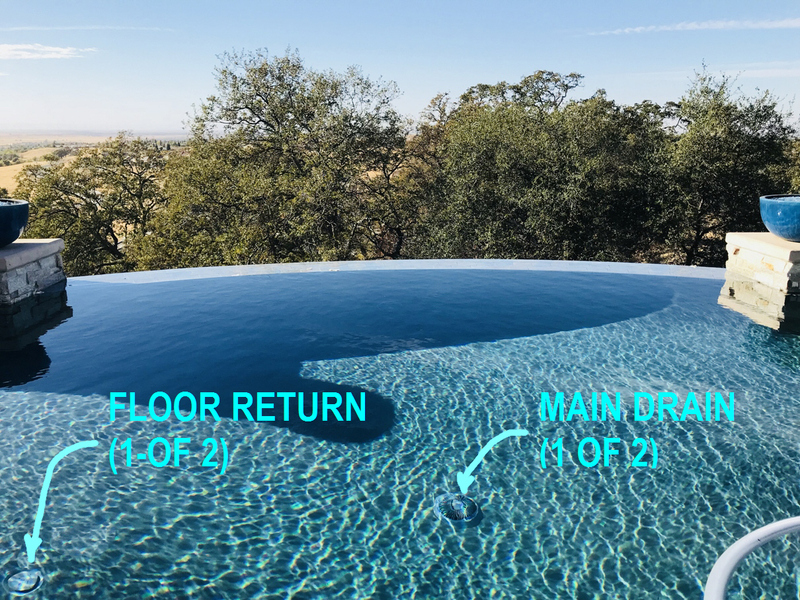 The black body 3-way valve isolates the aforementioned return operational functionalities to the pool’s floor returns, which when re-positioned would divert the returning water to the pool’s bottom allowing it to then overfill and spillover the V-Edge (See pool floor return photo below). 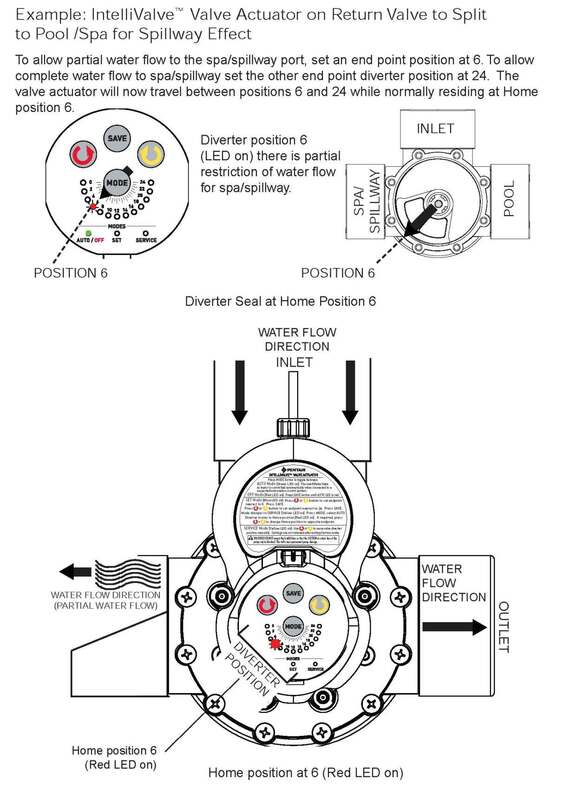 The current plumbing configuration and missing automation does not allow for the orange handle valves to be operational, as the valve actuator cannot function without the 24v electrical power supply. 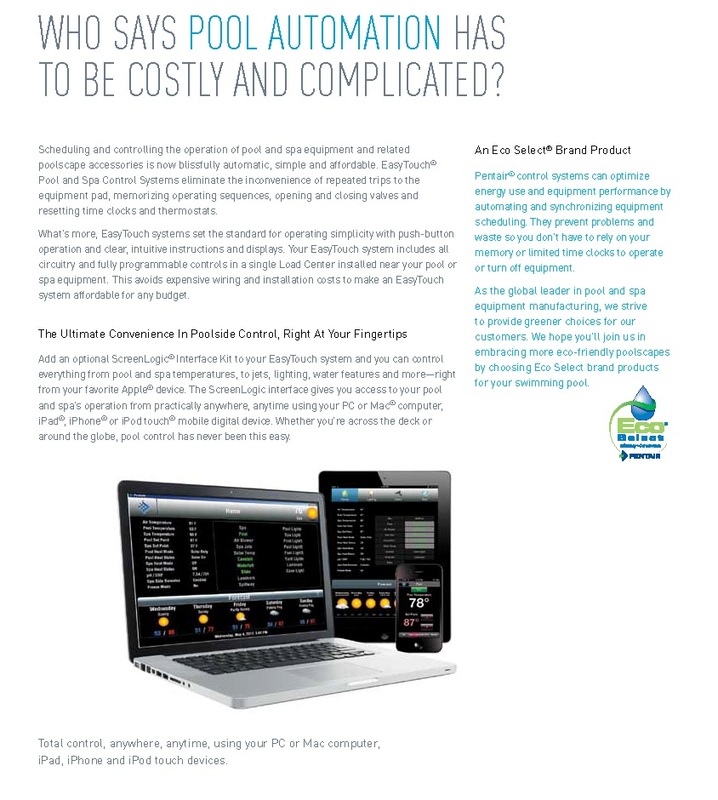 One solution is to upgrade the control system to a type of automation that can provide the operational functionality that appears to have been originally intended. 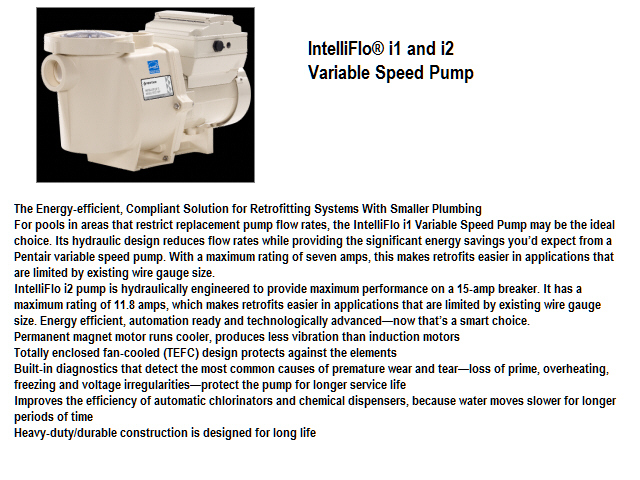 The reasoning or assumption being made here is; why install a valve actuator absent electronic control-ability? 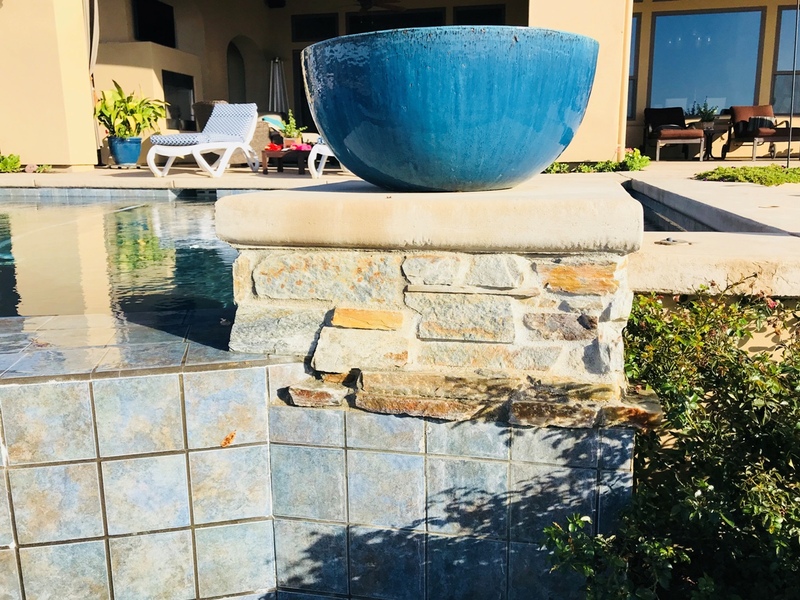 The 5′-0″ minimum standard set-back distance is inadequate for a typical hillside pool and the Lower Basin seeping and or spillage has saturated the DG pathway. 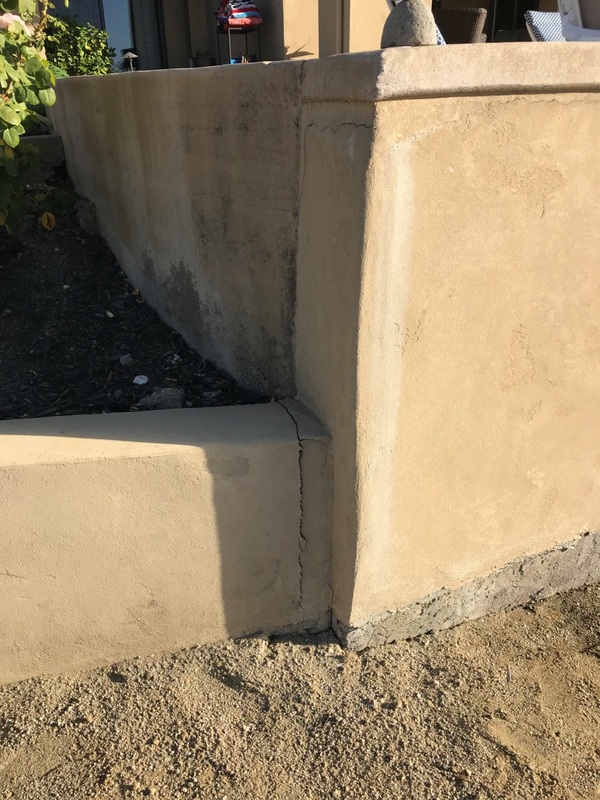 This is of concern as the compaction requirement for maintaining competent compaction is degraded as being able to withstand lateral forces when the soil becomes saturated. 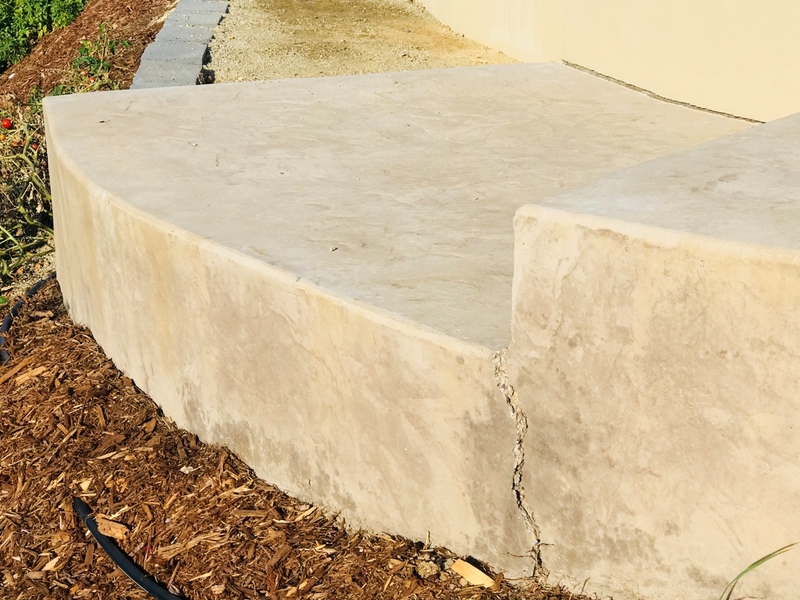 There is evidence that the subsoil below the outer edge concrete is suffering from settlement and it should be expected that if this continues it will as well have an impact upon the Lower Basin and potentially the V-Edge of the pool. 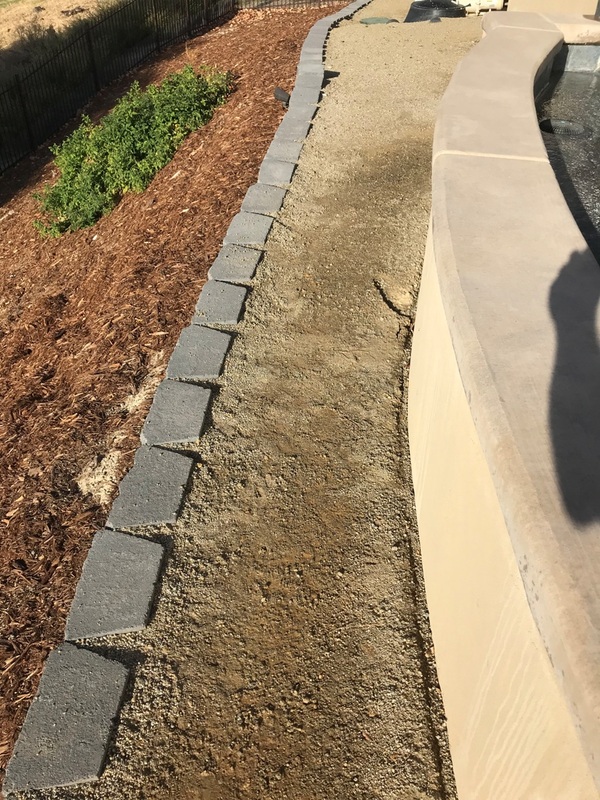 In order to stabilize the slope and provide a satisfactory level of support for the pool structure, it will require performing a “soils investigation”. This involves drilling test borings in order to determine the depth where a competent subsoil condition exists. From the results of such investigation a “soils report” is generated and based upon discovery of the existing soil conditions recommendations for a structural remedy are made. The soil report recommendations will identify the type of structural support type and from there the structural engineering will apply detailed knowledge of applied mechanics, materials science and applied mathematics to predict how structures support and resist self-weight and imposed loads. 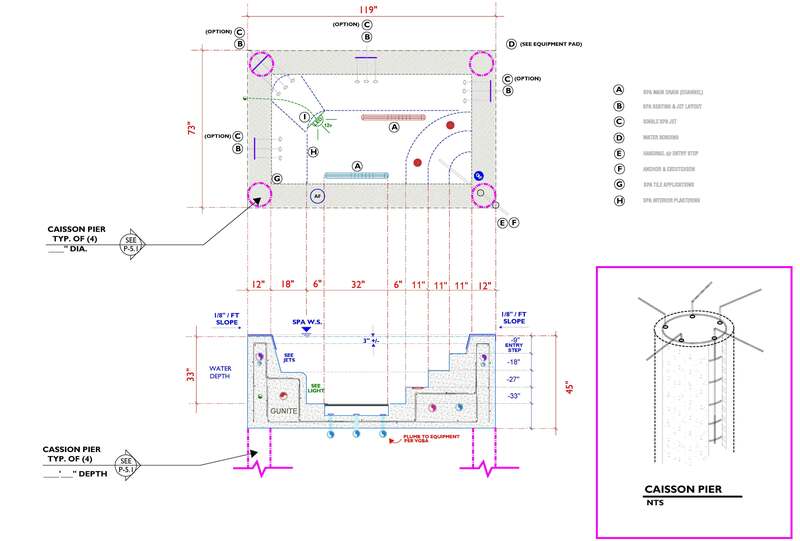 The structural design will follow and it will prescribe a steel reinforcement schedule for steel grade, sizes and spacing, as well the dimensional layout of footings, Grade beams, caissons, and or any concrete wall thickness that may pertain (see example HERE). 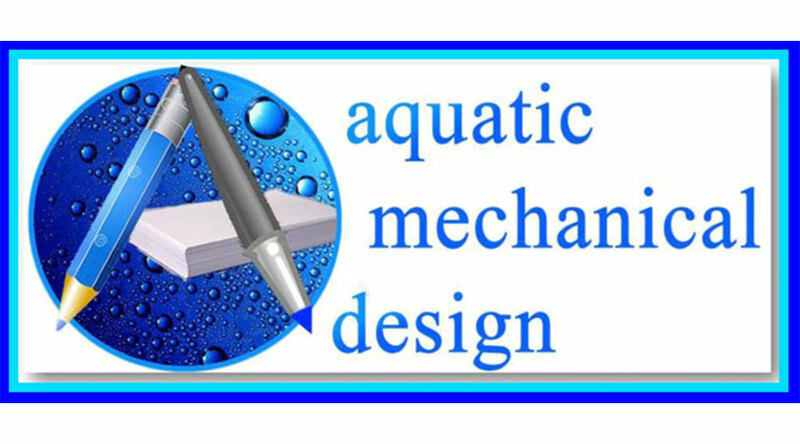 From the plans and specifications, we can help you to solicit proposals / quotations to perform the work and by pre-qualifying the requirements the responses will result in getting “hard estimates” with a much higher degree of confidence for the results. 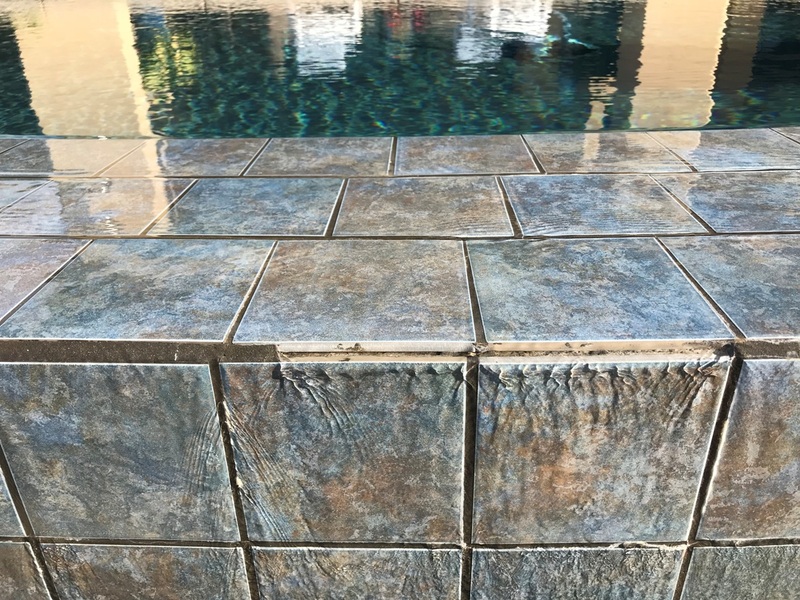 The grouting between the pool’s waterline tile and the V-Edge vertical face has many voids. The grout in the joints between the tiles has deteriorated and in several location it is completely missing. 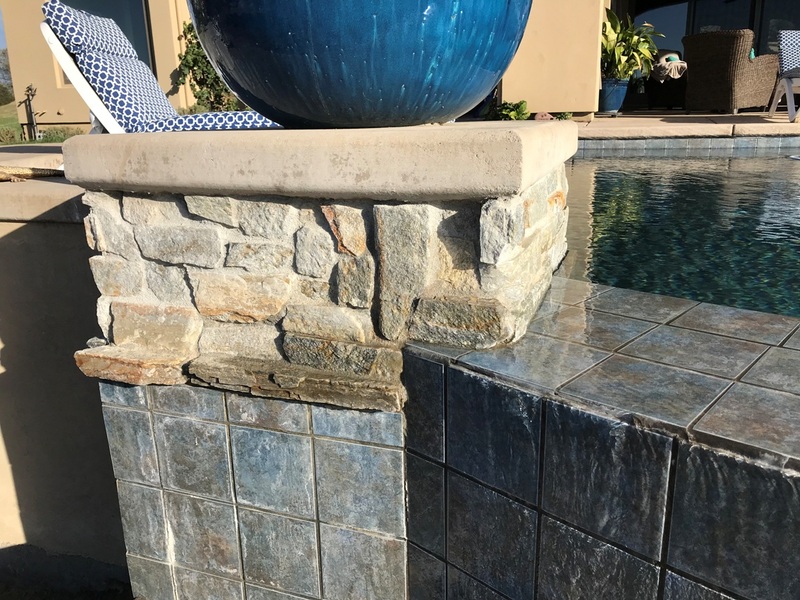 Crumbling and or missing grout in the joints can signal a possible problem with the underlying substrate, usually cracks such as these are indicative of grout that was improperly mixed. In addition to the tile grout issue, a Quartzite stone has been utilized below the waterline and this would not be our recommendation. Quartzite is a metamorphic rock formed when quartz-rich sandstone or chert has been exposed to high temperatures and pressures. Such conditions fuse the quartz grains together forming a dense, hard, equigranular rock but, its not impervious to water and is susceptible to liquid penetration into its micro fractured surface. 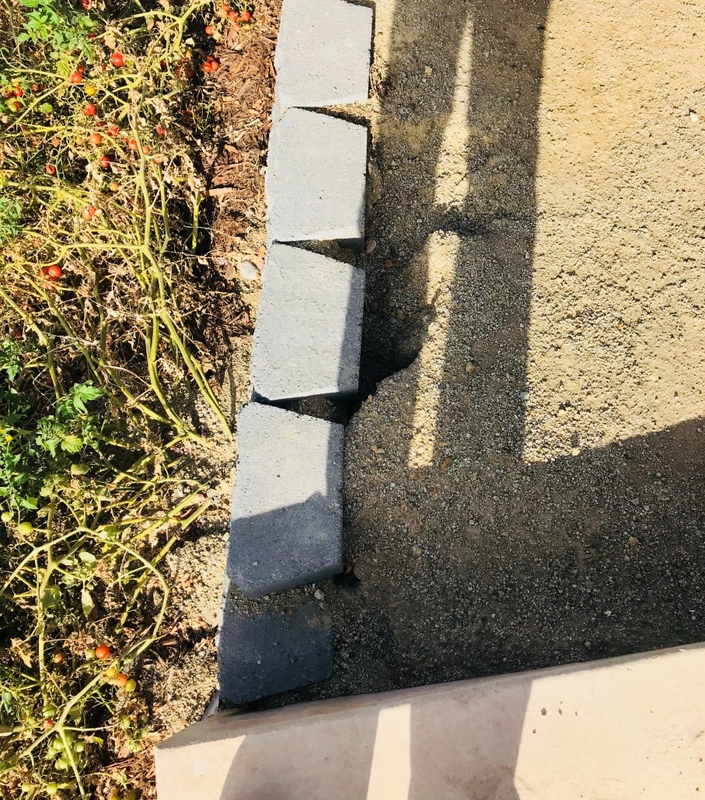 This together with it being installed using wider grout joints makes this product selection a strong candidate for deterioration and frost issues during freezing weather (See photos below). 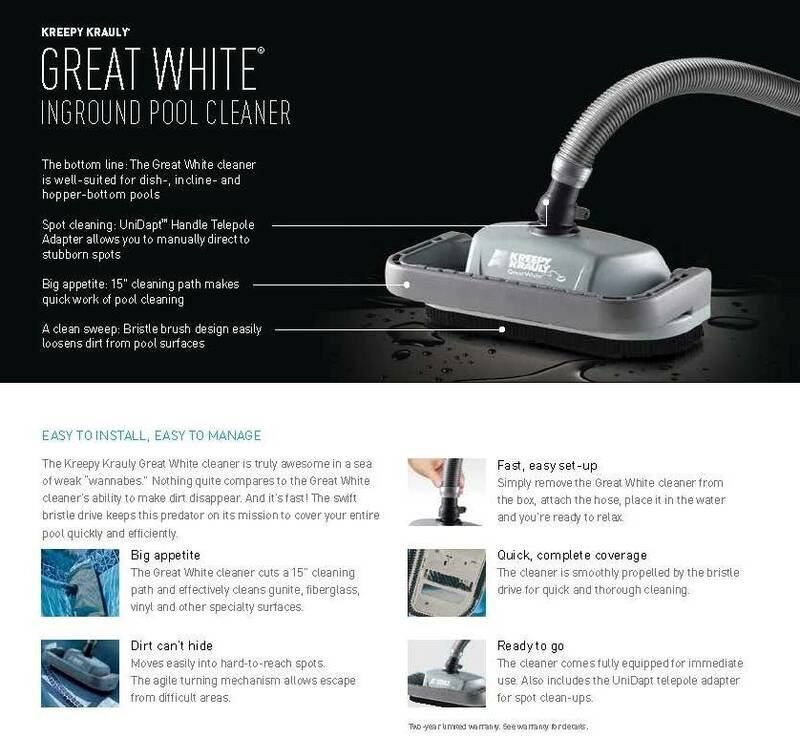 Furthermore, Salt / Chlorine Generators (such as the one currently in use) can exacerbate grout deterioration, if the pool’s pH chemistry is not strictly looked after. 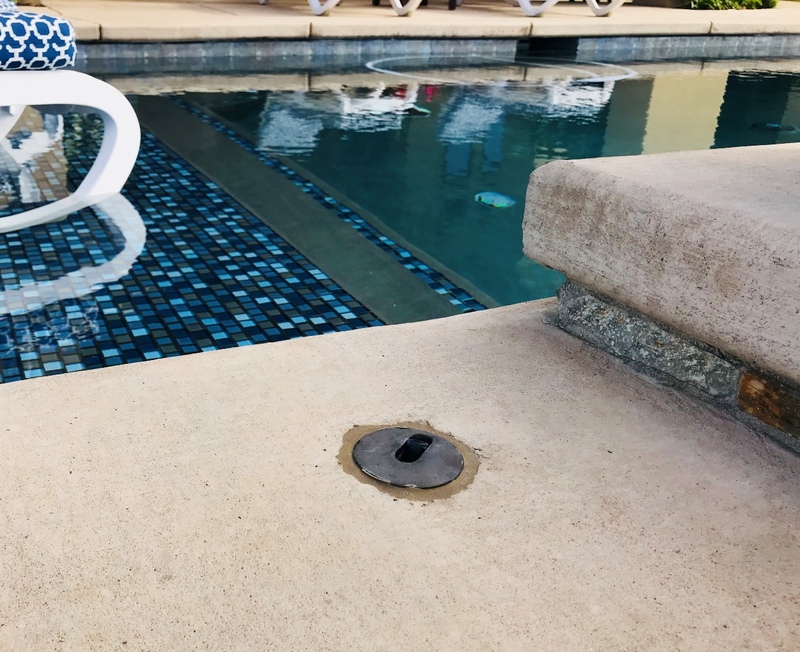 When the salt is dissolved into the water the pool water’s constituents are brought up to +/-4,000 PPM/ Total Dissolved Solids (TDS). From there the salt-water passes over the electrodes inside the salt cell and when passing over the charged electrode the Na CI +h20 is converted into Cl2 + h20 and the salt is converted into chlorine but, in doing so it also causes the pH to rise making the water more alkaline. 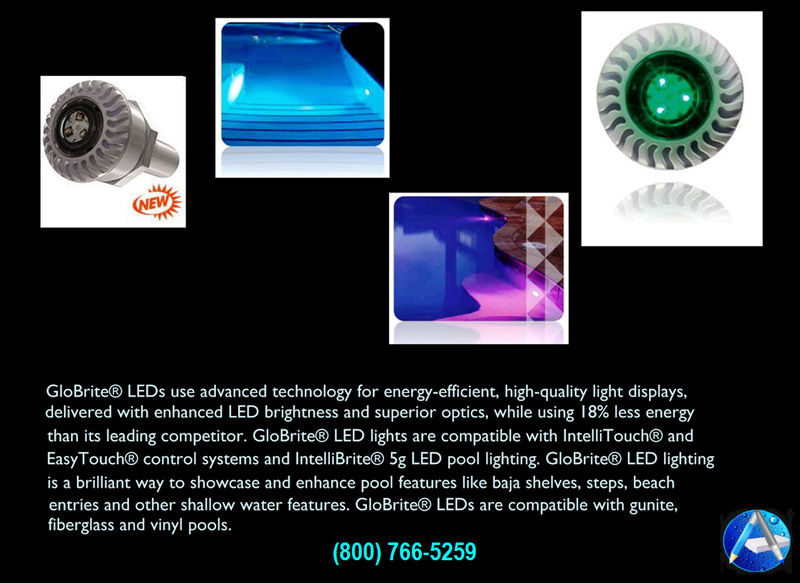 Needless to say, Salt / Chlorine Generators are not a pool’s best friend, if longevity is the objective! We would recommend at the very least re-grouting all the tile and replacing all the Quartzite Stone with tile at or below the waterline. 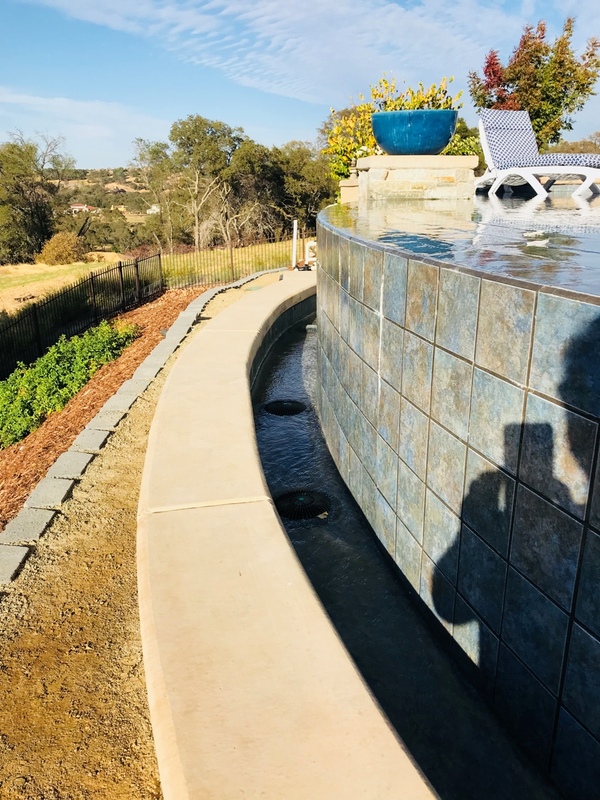 If the budget wasn’t an issue then re-tiling the pool’s waterline as well as selecting a compatible larger dimension (18″ x 18″) frost proof ceramic tile product for the horizontal and vertical V-Edge. This would need to be cut-to-form in order to accomadate the V-Edge’s slight curvature. By approaching the re-tiling in such a fashion, it would greatly reduce the number of grout joints necessary. 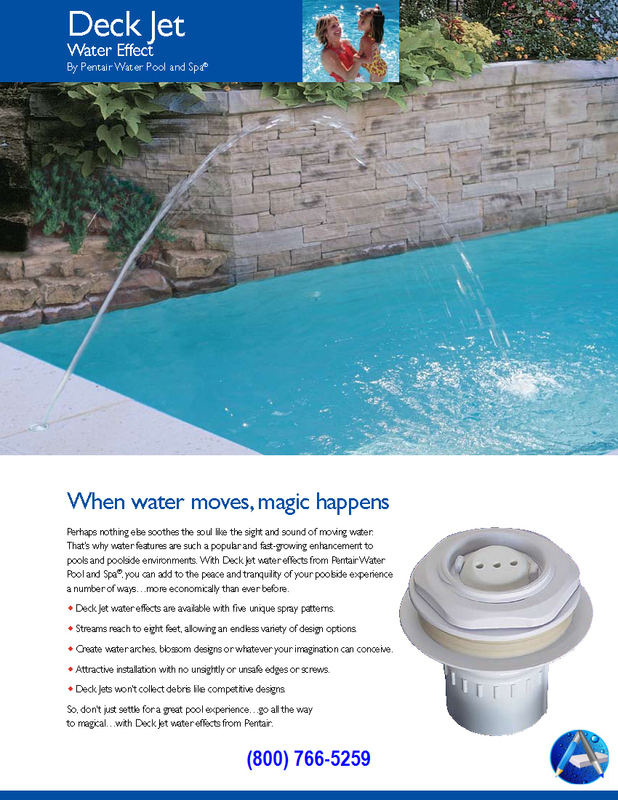 Needless to say, the Salt / Chlorine Generator would be removed as well! 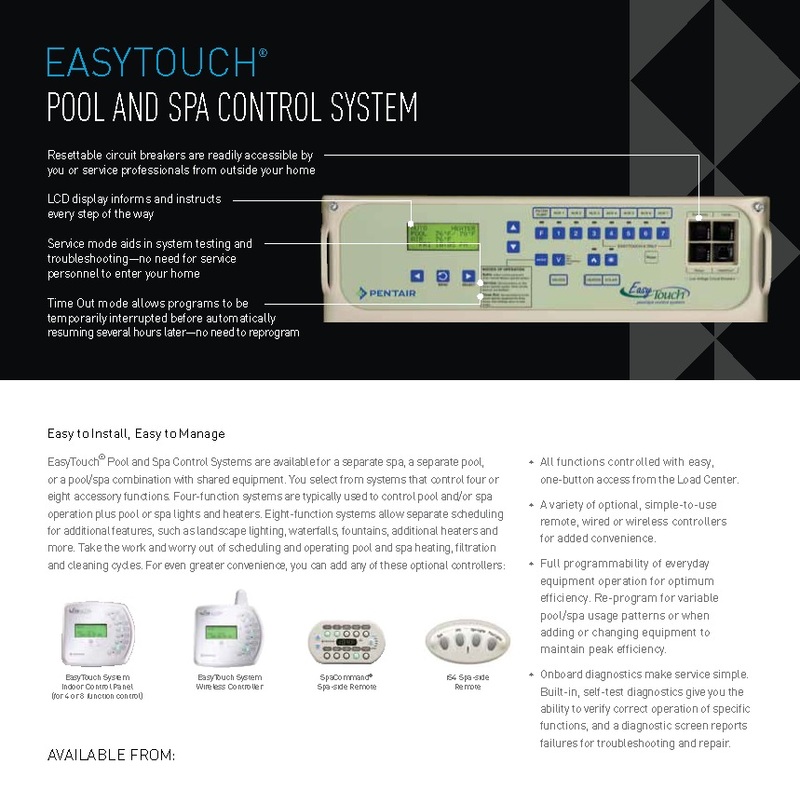 The pool equipment is fairly basic in utilizing one pump for filtration and the other for the V-Edge, together with employ some functional and non functional manual valving. 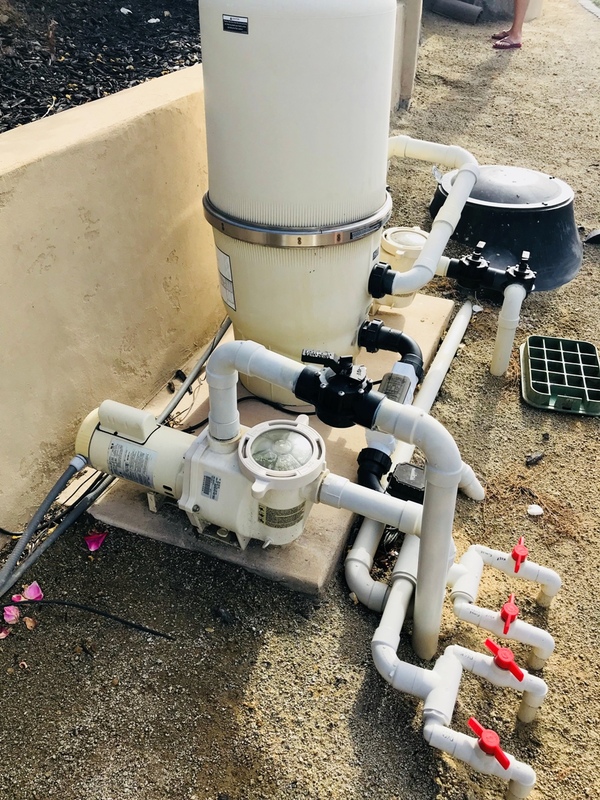 The 2.00-Hp V-Edge pump is hypothetically adequate (110-gpm @ 50-HF) for delivering a (5-gpm/LF = 90-gpm) flow rate over the V-Edge but, due to an unevenness of the tile surface the flow rate is inadequate for overcoming the irregularities on the imperfect tile application. 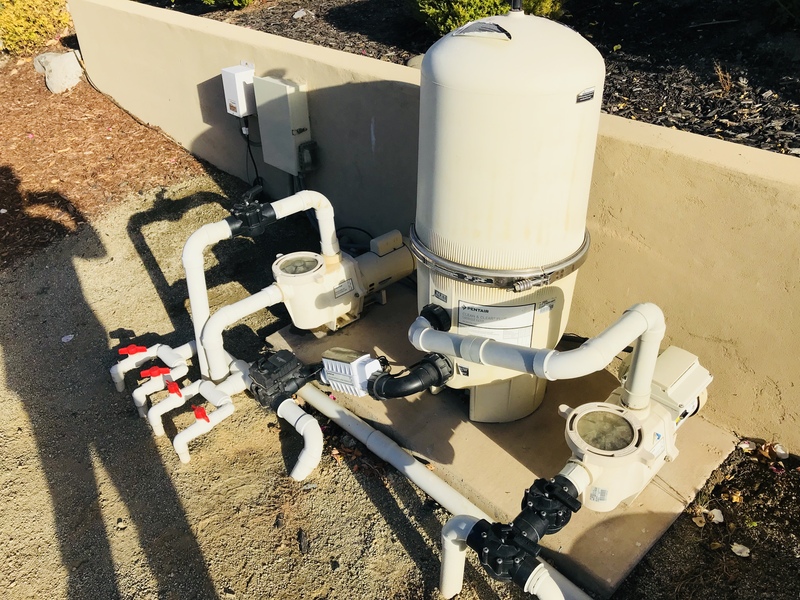 A better pump selection might have been a variable speed pump that can deliver more water but, this selection would also need to make sure that the Main Drain Suction Grate Covers would meet the VGBA mandates for flow and velocity. 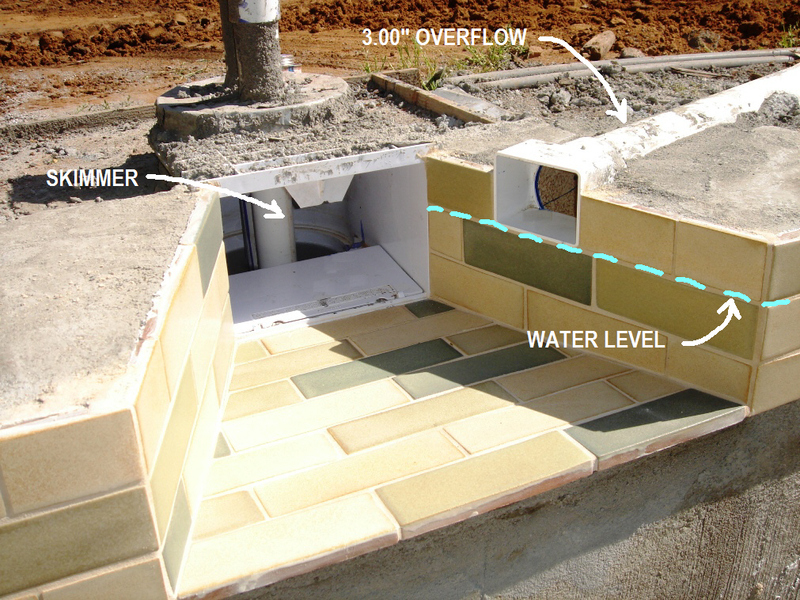 In order to accomplish the best uniformity with the least flow on a V-Edge spillover the surface (tile) must be within +/-5/32″ from a dead-set level tolerance. 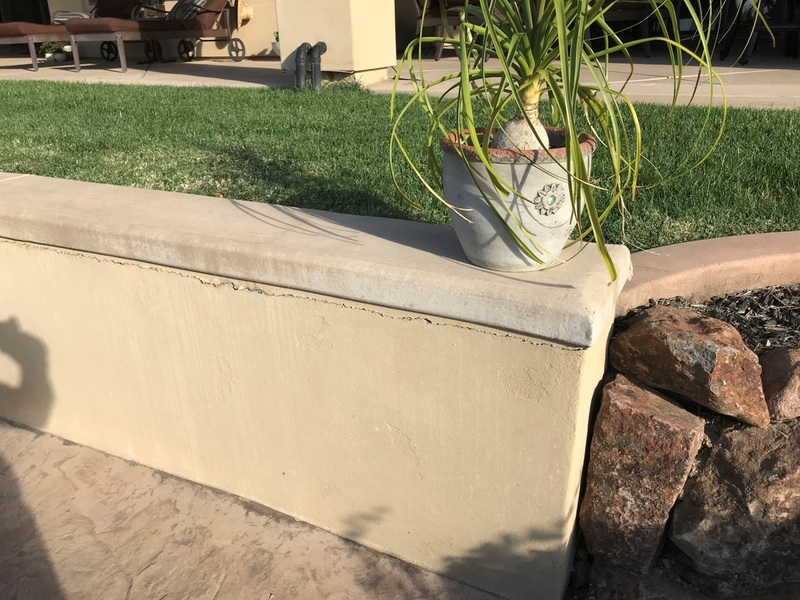 Due to some products not even being able to comply with this spec it is imperative that only a Master Journeyman Tile Setter be responsible for accomplishing these most important results. If a decision is reached to replace all the existing tile rather than just re-grouting then, we can provide plans and specifications that describe and call-out the requirements. 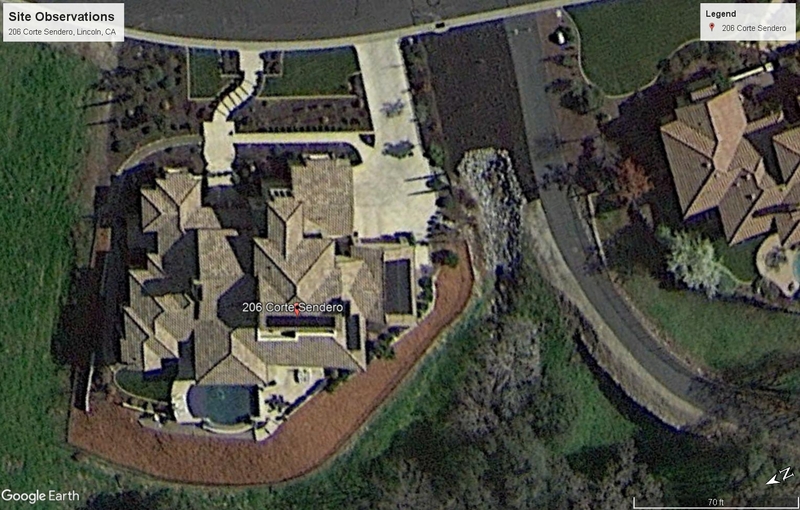 NOTE: The pool cleaner could be retrofired with a Debris Canister that would be located at the equipment pad. This added feature could provide a much greater capacity for the collection of debris that ends up at the bottom of the pool. There are several other items worth mentioning, which mostly have to do with water migration as a cause and weeping cracks as a result. 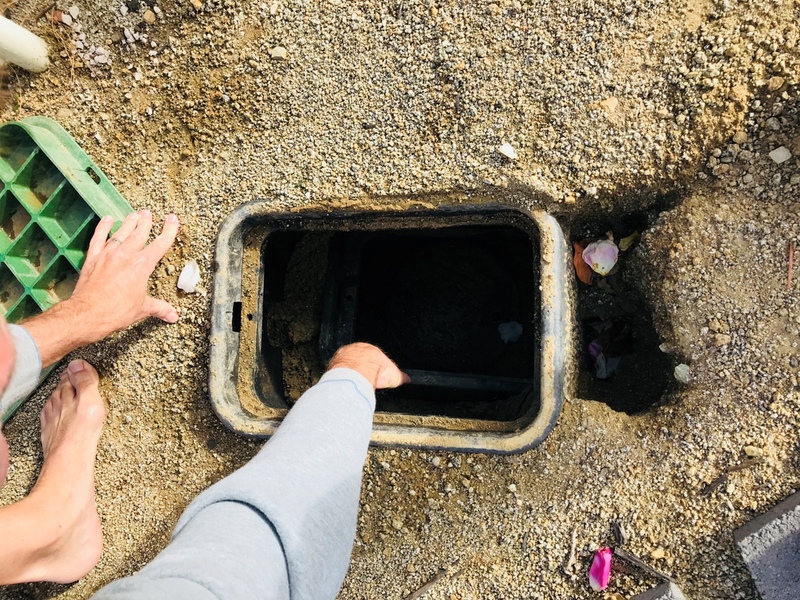 Our visual site observation could not determine the most-likely source (irrigation, drainage, pool piping system), although a first step would be to specify a non-permeable liner to be installed in and around the effected areas per directions provided. During the liner installation further forensic investigate could look into the likelihood of any leaking issues and then perform repairs as necessary. 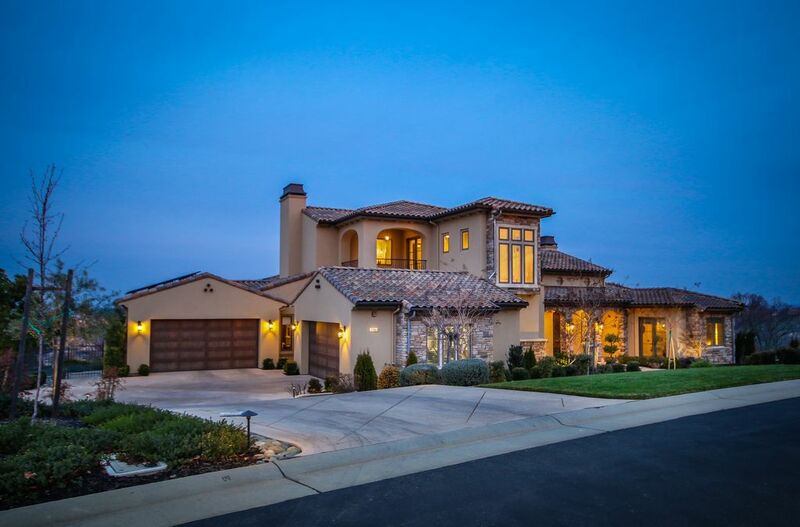 The critiques and subsequent recommendations being made in this narrative are for the sole and exclusive purpose of outlining a design approach for remedying the concerning issues that the property Owner has brought to our attention. Only upon the conclusion of a soils report (as mentioned earlier in this narrative) and a structural prescription that are both orchestrated by our planning / design services shall these recommendations be authorized and licensed for use. The experienced and knowledgeable opinions, images and diagrams referenced herein are considered proprietary information and are Covered by the Electronics Privacy Act, 18 U.S.C. Sections 2510-2521, and are legally privileged. This webpage, and all attachments thereto, are intended only for review by the addressee(s) named Bill Bretschneider herein and contain legally privileged and/or confidential information. Any dissemination, distribution, printing or coping of this webpage, and any attachment thereto, is strictly prohibited and violations are identifiable per a Tracker / Server, see HERE.